The first night home for many new puppy owners can be a nightmare of howling, whimpering, whining, and accidents. Puppies cry in their crates at night, especially at first. How can we crate train a puppy at night so that it’s not traumatic for the puppy or for us? In the U.S., many puppies are put in a crate to sleep right away. Crate training puppies at night is a convenient way to avoid many inconveniences of owning a young puppy. Keeping the puppy from chewing on cords, shoes, or furniture. Not only do puppy teeth cause costly damage to our stuff, but it can be dangerous for them to chew on these things. Contain any accidents if the puppy can’t hold his bladder. If your puppy is going to have an accident, at least you know where it is! Encourage your puppy to hold it. 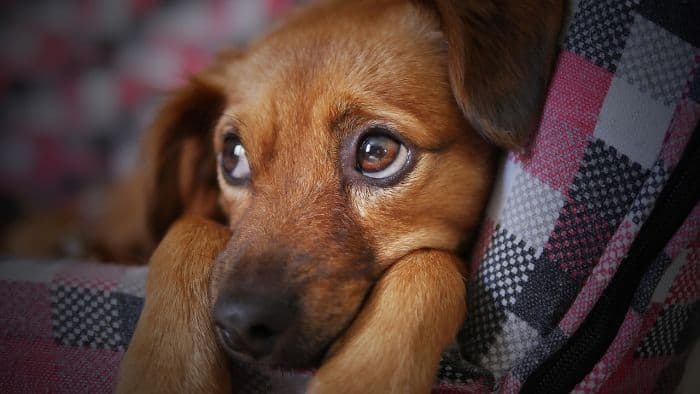 Most dogs – unless they were raised in a puppy mill, pet store, or other less-than-ideal conditions – will instinctively try to avoid peeing in their bed. Free-roaming puppies are more likely to pee in one corner of the house while sleeping in another. A properly sized crate can help prevent this issue. They might need to be crated later, and it’s good for them to be comfortable in the crate. If you might ever need to drive with your dog in a crate, leave him at the vet’s, or compete with him in any dog sports, he should be comfortable inside of a crate. Some hotels even require that you crate your dog while you’re gone. That said, crates are far less popular in other parts of the world. Some countries, including Finland and Sweden, completely outlaw crates except for transport, illness, or other temporary reasons. For training a puppy overnight, crates are a useful tool. Most of us would like to see our dogs eventually graduate out of the crate, especially during the day. We’ll cover how to graduate your puppy from the crate at the end of this article. 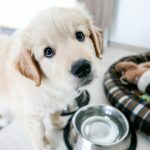 So, Should I Crate My Puppy at Night? Ultimately, I can’t make this decision for you. But here’s my personal take on crates: a crate can be a tool that is good to use for temporary training. Potty training a puppy is one of those times. 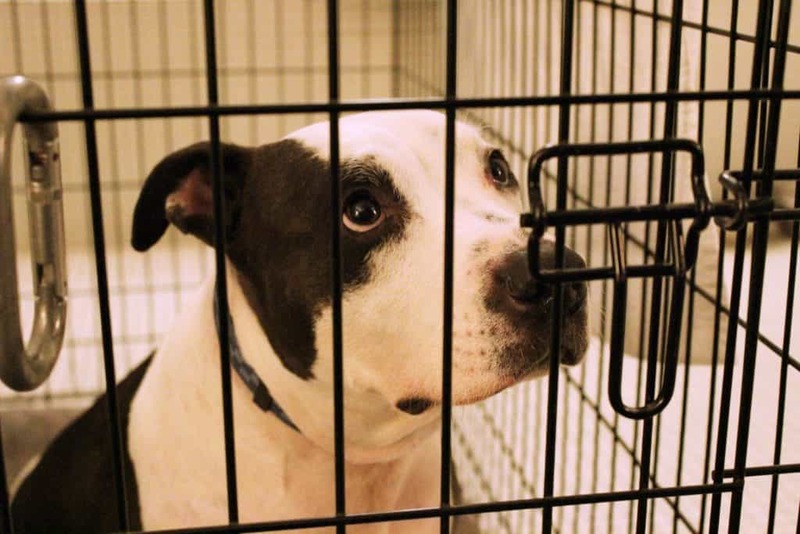 I struggle to condone using crates for 18-22 hours per day — the case for many dogs who are crated while their owners are at work and overnight. That just doesn’t seem ok. Some dogs will choose to sleep in their crate overnight or during the day, even if the crate door is open. But that’s their choice. They’re also free to go get some water, stretch, shake off, roll on the carpet, or nose around through their toys. Most dogs will sleep most of the day and night. But that doesn’t mean that I like to see dogs being forced to sleep in a small crate. When I get my next puppy, I’ll use a crate for her at night. I’ll try to graduate her as quickly as possible to using an exercise pen, or just tie her to me so I can watch her during the day. The crate will be a tool and part of her life, especially so she’s comfortable traveling in it. But I don’t plan on having my next dog spend hours and hours of her day in a crate. At the end of the day, most Americans will probably choose to confine their puppy somehow for the first few nights or weeks. Crating a puppy at night is an easy way to do that. Whether or not you choose to graduate your puppy from the crate, and how soon you do that, is up to you. Your puppy’s crate should be comfortable. A bed, blanket, food-stuffed toy, and white noise machine can go a long way. Your puppy’s crate should be big enough for your puppy to stand up, stretch, and turn around easily. Your puppy’s crate should not be punishment. Don’t chuck your puppy in the crate when you’re mad if you want him to like the crate at other times! Feed meals and hide treats in the crate. This will help remind your puppy that the crate is a great place to go to find good things! After that, I diverge pretty strongly from people that recommend to let your puppy “cry it out.” While some crying in the crate at night is normal, I don’t think that ignoring a crying puppy is the way to go. 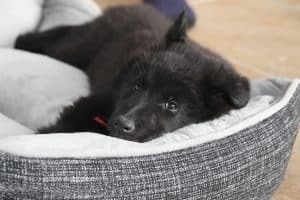 Many people make the initial mistake of just chucking the puppy in the crate on the first night, trying to sleep through the barks and yips and whines, and then giving in after hours of sleeplessness. They might fall asleep with the puppy or play until the puppy passes out. Even if you don’t “give in” to your puppy’s whimpers, there’s a lot wrong with this approach. The “cry-it-out” approach isn’t any fun for you or your dog, even when you do it correctly. Your puppy is learning that the crate is a terrible place to be and that you won’t come to his rescue if he’s distressed. That’s not a good way to start off your relationship together or his relationship with the crate! Instead, let’s follow the advice of expert dog trainer Sarah Stremming. In Sarah’s podcast episode “Happy Crating,” she promotes a different model from the usual “cry-it-out” method. If the puppy cries, he goes outside. Quietly put him on a leash or carry him outside. Don’t fuss, just matter-of-factly get up when he cries and take him outside. Potty breaks are short and boring. When you take your puppy outside, put him down and stand there and wait. Don’t say “Hurry up,” or “Let’s go,” or any other silly phrase meant to get him to pee. Just ignore him and wait. Only wait a minute or two. If he needs to go, he’ll go. Puppies that “cry wolf” just go back in the crate. But if he didn’t pee, put him back in the crate. 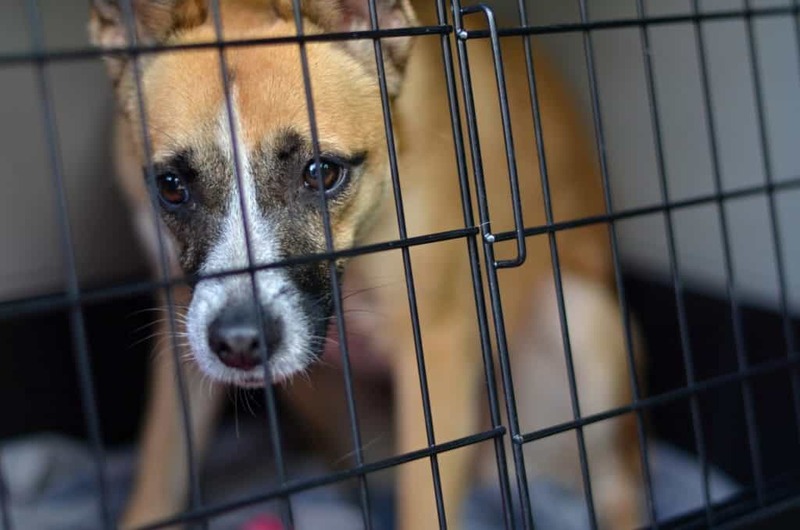 Since we’re focusing on overnight crating, you’ll probably want to put your puppy back in the crate. Humans decide when it’s playtime. If you want to play with your puppy, put him back in the crate first. Leave him like you normally do, then come back before he starts to cry. That way, he doesn’t learn that crying leads to playtime. He learns that quiet crate behavior gets playtime. We don’t want to build an accidental behavior chain! That’s really it, just those four steps. At first, you might end up taking the puppy out multiple times per hour. That’s normal. In fact, most young puppies probably need to go outside every fifteen minutes anyway. Take shifts if you need to. You won’t ignore him if he cries. This is pretty important for building trust! He doesn’t need to cry and cry and cry and cry and… for hours. A little fuss and he gets what he needs. This avoids creating a full-blown temper tantrum because he never needs to get all that loud! Crying only gets potty breaks, nothing else. This means that it won’t teach your puppy to make a fuss in order to play. He learns that quiet, calm crate behavior gets him the fun stuff – not whining. When your puppy pees outside, reward him with a tasty food treat (in my house, we use string cheese because it’s so transportable). You can give your puppy a chewie when he gets back to the crate, too. He can alert you when he needs to go to the bathroom. Many approaches suggest punishing your puppy for crying by slamming the crate, yelling, rolling your puppy, zapping him with a collar, or otherwise telling him to stop that, immediately. If you do this, it can make teaching your adult dog to tell you that he needs to pee almost impossible! It sounds so simple! And it really is – but it’s not always easy. Some puppies are just harder to crate train than others. Sometimes it’s easy to see why – the breeder I might get my next dog from starts crate training her puppies almost from day one. It’s no wonder they’re easy to crate train! But other times, puppies really struggle with being in the crate at night. Let’s go through some troubleshooting. How Do I Stop My Puppy from Crying at Night — and Why Is He Whining So Much Anyway? What is the motivation for doing this — how is he being rewarded by my actions, the actions of others, or the environment around him? What would I like him to do instead — is there something he can do that gets him the same reward that I like better? Once we have an idea of why your puppy is crying in the crate, it’s far easier to solve the problem. Let’s look at some of the most common reasons for puppies to cry in the crate at night and how to fix them. To help a lonely puppy who whines in the crate at night, put the crate in the bedroom near your bed. This helps immensely! When we first brought Barley home, he whined in the crate for almost six hours. In desperation around 4 AM, I dragged his crate into our tiny bedroom. He went right to sleep and hasn’t had trouble at night since. 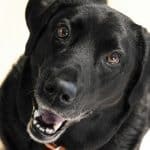 If you’re struggling with a dog that whines in the crate during the day, you might need to get help from a dog sitter or dog-walker while you work on retraining your dog to be calm when he’s alone in the crate. Some puppies are just scared of being alone. They’ve never slept away from their mother and their siblings. Like lonely puppies, you can often fix puppies that whine at night because they’re scared by putting their crate in your bedroom. It’s unlikely in a young puppy, but some dogs suffer from separation anxiety. This is a serious issue where your dog essentially has a panic attack when left alone. 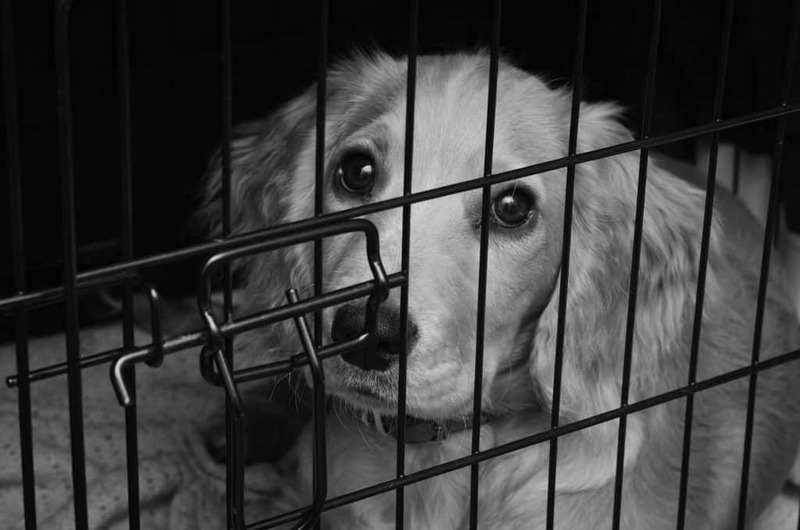 Don’t ignore this or just buy a tougher crate — your dog needs help from a behavior consultant who is experienced with separation anxiety. 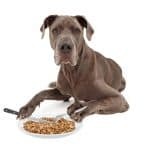 Dog anxiety medications often help, too, since this is a panic or anxiety disorder. Many dogs are just plain old bored in the crate. 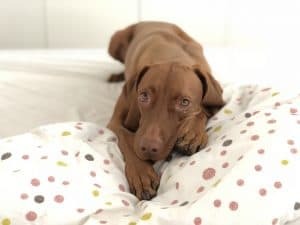 This problem is generally more common in dogs that whine in their crate during the day, but it’s not unheard of at night. We can stop puppies from whining in the crate because they’re bored with a two-pronged approach: exercise and puzzle toys. If you exercise your puppy with playtime that ends a bit before bedtime (you don’t want to go straight from play to bedtime) and then give her a Kong stuffed with peanut butter, that should help a lot. Most puppies will go right to sleep if they’re properly exercised and they’re close to you. As I said above, I don’t recommend trying to punish a puppy for crying in the crate. While you might be able to scare or startle him into being quiet with a loud noise or sudden movement, that doesn’t help fix the problem he’s trying to tell you about. Worse, punishing your puppy for crying teaches him that you’re scary and that crying doesn’t get him a potty break. It’s hard to potty train a dog that won’t tell you when he has to pee! 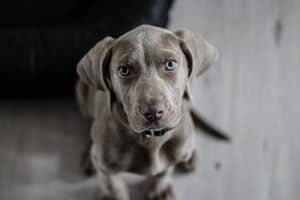 Using the method above, paired with a well-exercised puppy and putting your crate in your bedroom, generally will teach your puppy to be quiet in the crate at night, except when he needs to pee, in about a week. The younger your puppy is, the longer this might take. A six-week-old puppy, for example, probably will cry more (and for longer) than a twelve-week-old puppy. That’s due to their maturity levels, both emotionally and physically. That’s part of the reason it’s illegal in some states to even sell puppies that are under eight or ten weeks of age! A six-week-old puppy is really a true baby, while a twelve-week-old puppy or a six-month-old puppy is a child or even a teenager. Those first few nights will feel long. You’ll probably be getting up every few hours (at least). Expect a few accidents, and try to be patient with your puppy. Just be consistent with the plan and reward your puppy for potty, not for crying. Be patient, consistent, and compassionate. Remember that your puppy is just a baby. Expect to need to take your puppy out every hour or so when he’s six to eight weeks old. 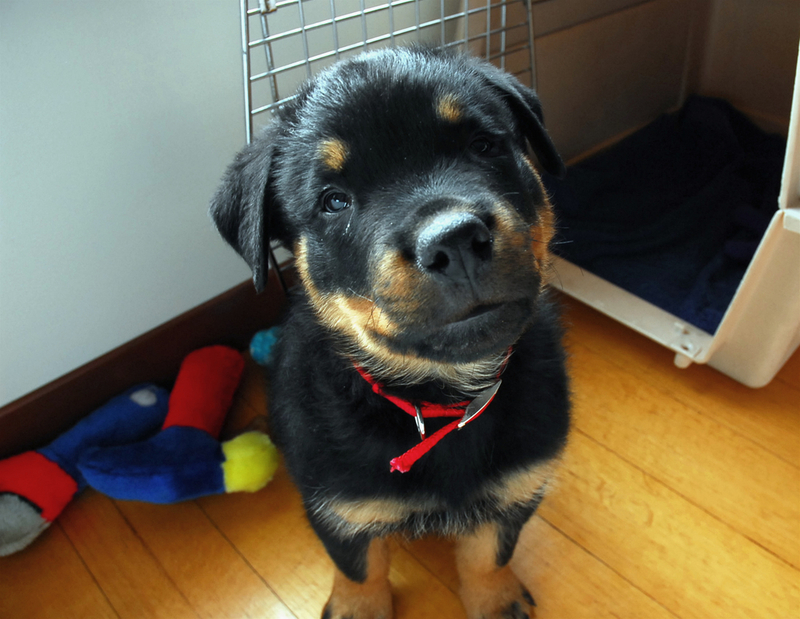 Gradually, as your puppy’s crate training and potty training progress, you’ll be able to get up less and less. Many puppies are able to sleep through the night by the time they’re about fourteen to sixteen weeks old. Some puppies get the hang of it earlier, others take longer. READ MORE: How to Potty Train a Puppy, Fast! It’s Been A Week. My Puppy is Still Whining in the Crate. If you’re not seeing improvements after trying the methods above for at least a week, get help. Your puppy might have a UTI or other medical concern, or might be abnormally anxious. Puppies that are from puppy mills, pet stores, and backyard breeders are often much harder to potty train and crate train. That’s because they’re used to peeing where they sleep. They’re less used to people responding to their needs. 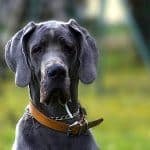 If you’ve got a puppy from a rough background, you might have more challenges than if your puppy came from a stellar breeder. 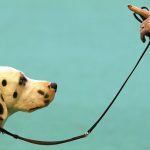 Finally, keep in mind that smaller-breed puppies might take longer to potty train. A fourteen-week-old Chihuahua’s bladder is much smaller than a Great Dane’s of the same age. That means the Chihuahua will need more frequent potty breaks. How Can I Wean My Puppy off the Crate? Right around when your puppy is sleeping through the night well, you can start transitioning towards a crate-free night. Generally, this will be when your puppy is between four and six months old (sixteen to twenty-six weeks old). It’s best to start when your puppy is having relatively few accidents during the day. It’s ok if your puppy still slips up once or twice a week, but don’t wean off the crate if he’s still regularly soiling the house. 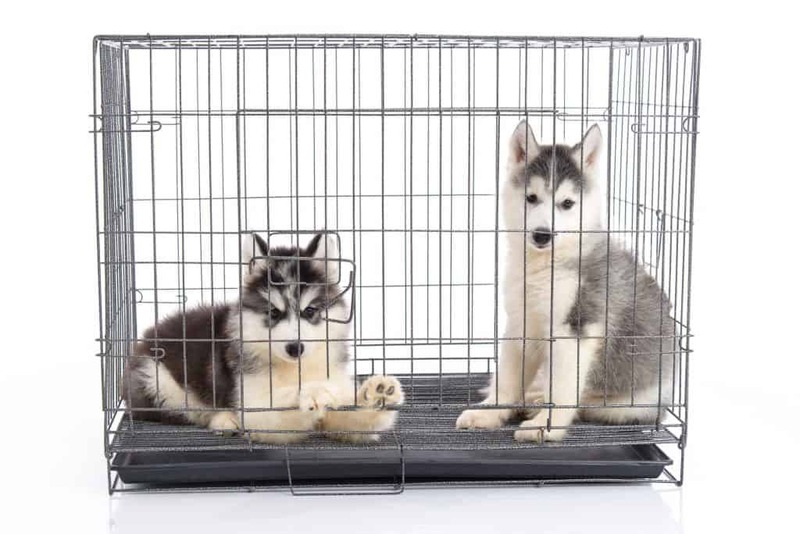 Wean your puppy off the crate gradually. Rather than going straight from sleeping in the crate to being free to roam the house, use an exercise pen or strategic wall barriers to expand your puppy’s world slowly. For the first night with the crate door open, just give your puppy a bit more space — say, a few feet. Then each night that your puppy is successful, add a bit more space. If you don’t want your puppy sleeping in the bedroom as he gets older, you might want to start by moving the crate or exercise pen slowly out. For some puppies, you might be able to do the “band-aid” method — just put your puppy out in the living room when he’s doing well in the crate. This can also backfire, though. A bit more tedious but let risky approach is to move your puppy’s crate or exercise pen towards the bedroom door, then halfway out the bedroom door, then in the hallway with the door open, and so on. Gradual movement of the crate, night by night, will help your puppy adjust to sleeping alone. Once your puppy is where you’d like him to be, you can start expanding his sleeping space as described above. Weaning your puppy off the crate during the daytime can take a bit more finesse. Generally, the rule of thumb here is to also start with an exercise pen, then graduate to a room much like you’d graduate to a room at nighttime. However, you also need to keep an eye on timing during the day. Start with short absences, if possible. Don’t let your puppy roam free for the first time during a full work day — instead, take advantage of the time when you check the mail, go to the post office, get groceries, and onwards through increasingly long absences. Crate training a puppy and teaching him not to cry in the crate at night can be exhausting. But with patience and consistency, the crying-gets-potty approach generally helps crate train puppies at night very quickly. When you bring home a puppy, expect a few sleepless nights (just like with a newborn). The younger your puppy, the longer you’ll have to work through an upset baby at night. We’d love to hear your thoughts on this method of how to crate train a puppy at night– or on crate training puppies in general. Share your thoughts below!